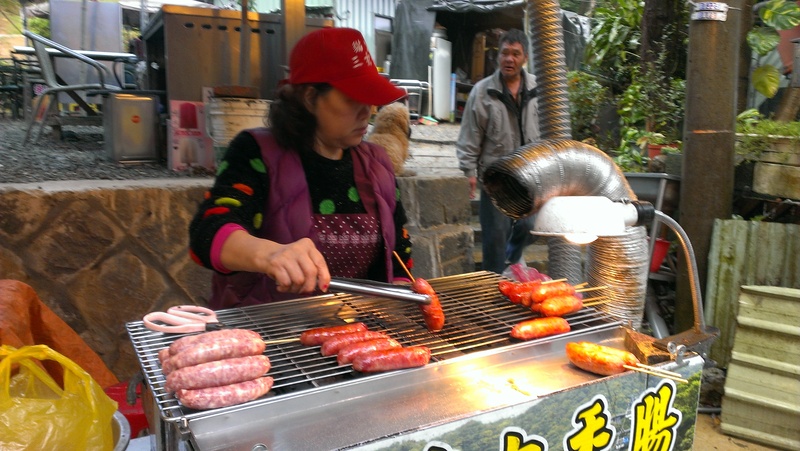 Yeah… we did not go to many places on our third day in Taiwan because it was a Christmas Eve day. We required to get back home by evening. 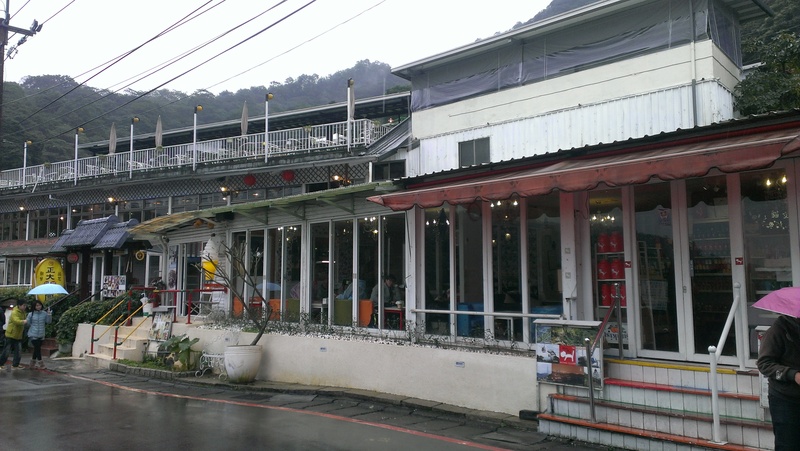 Maokong Gondola is located at the highlander of Taipei City. It’s a quiet and relaxation attraction where numerous tea houses can be found there. There are also restaurants available where sitting at the edge for lunch is indeed meaningful and peace while of course enjoying the view. 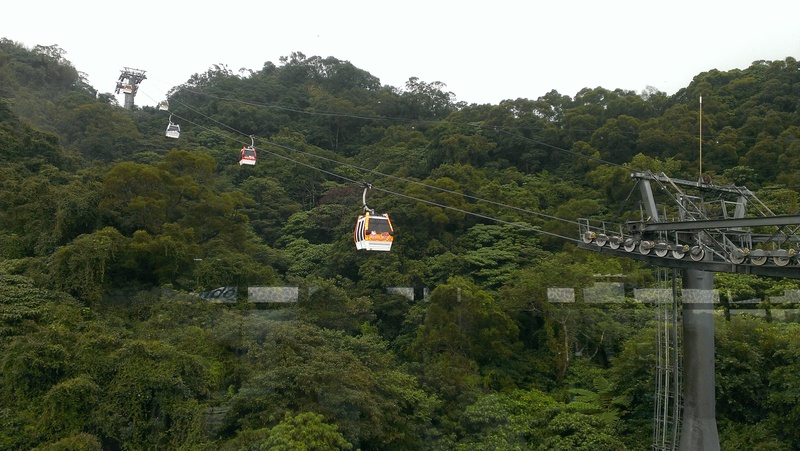 Click here if you need more information about Maokong Gondola. We arrived at Metro Taipei Zoo around 12 noon. 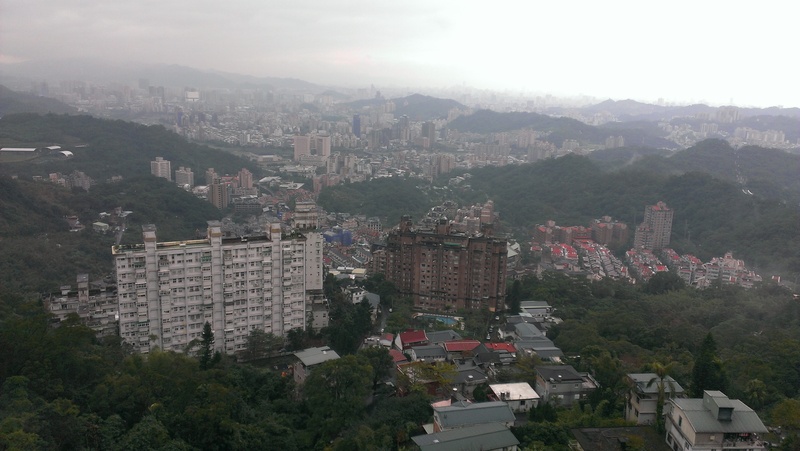 A short 5-7 minutes walking distance to the cable car station known as Taipei Zoo Station. Single journey ticket price is NT$50. Easycard is accepted. 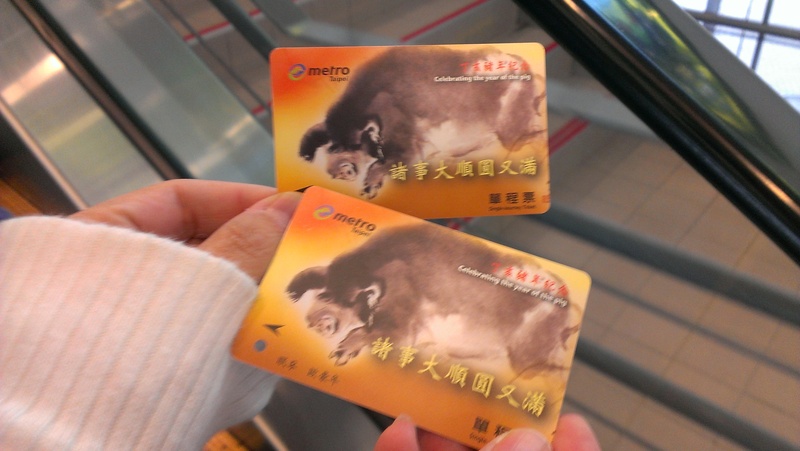 We purchased at the ticket counter did not realise that Easy card is accepted until we had purchased them. 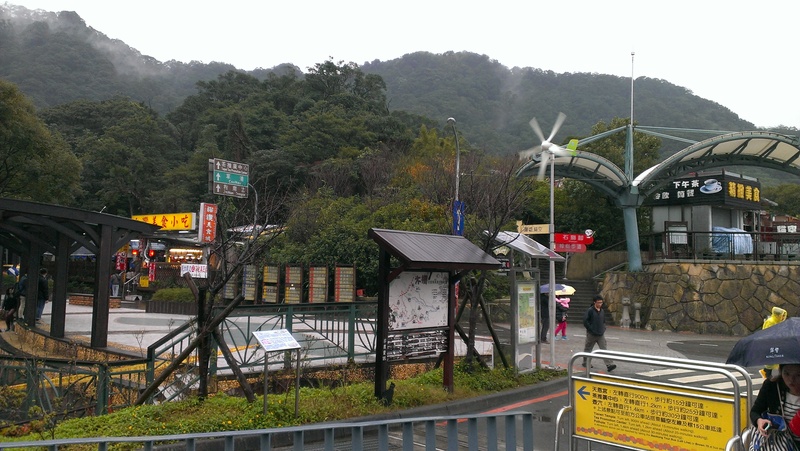 The journey was approximately 30 minutes to arrive the Maokong Station. 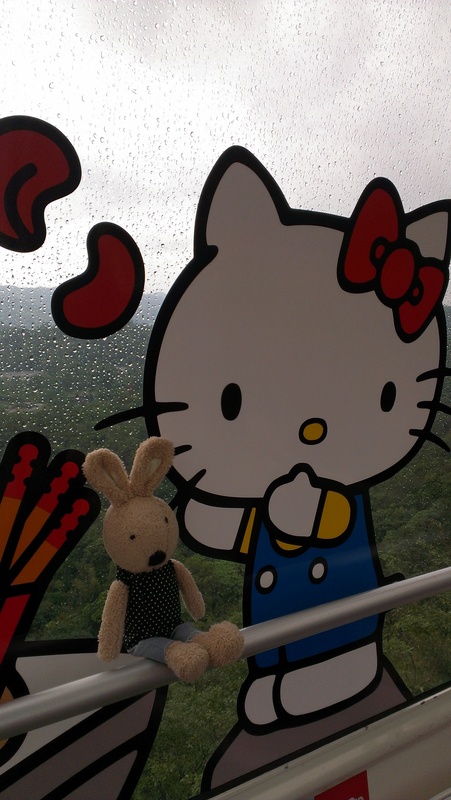 Cable car theme – Hello Kitty. Get ready with your camera! 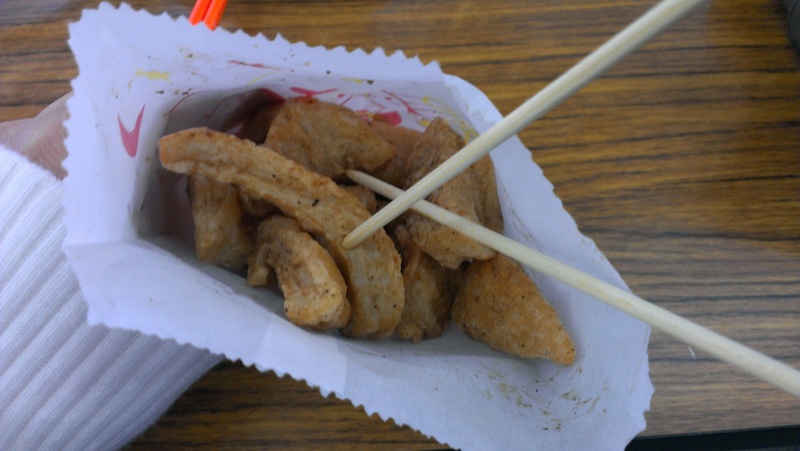 Once arrived we grabbed some food to eat. Diagonal opposite the station, there were stalls selling some local food. We took a break before adventuring the area. 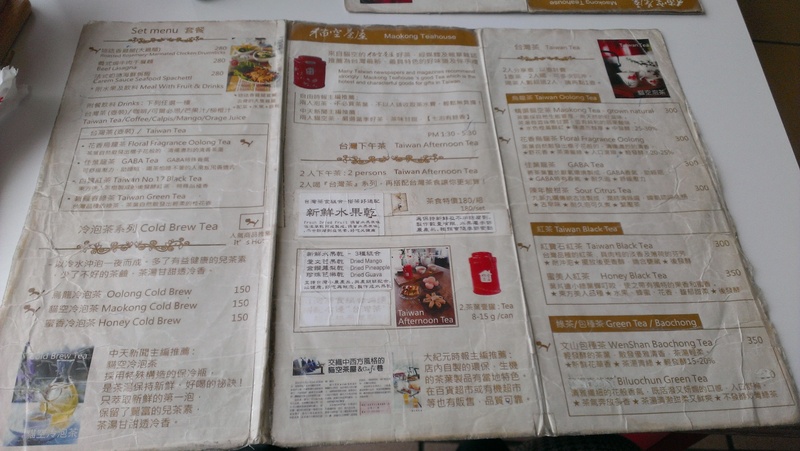 We walked in to a few tea houses to check out the suitability. We walked further along the road and there are more tea houses and restaurants. 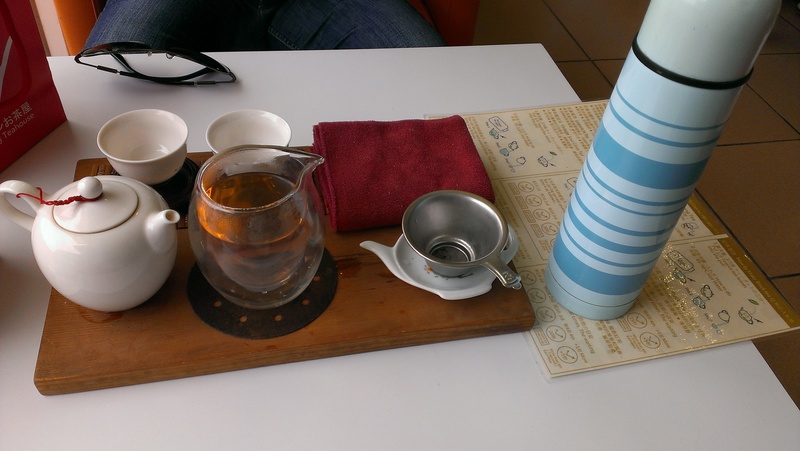 We chosen Maokong Teahouse as it looked cosy to us. The teahouse also sells their own tea in metal containers and in packets. This is the one.. The prices of the tea sets ranges from NT$150 to NT$350 depending on the type of tea and some sets comes with cookies too. It was pretty cool sitting here with the taiwanese locals enjoying a cuppa tea. 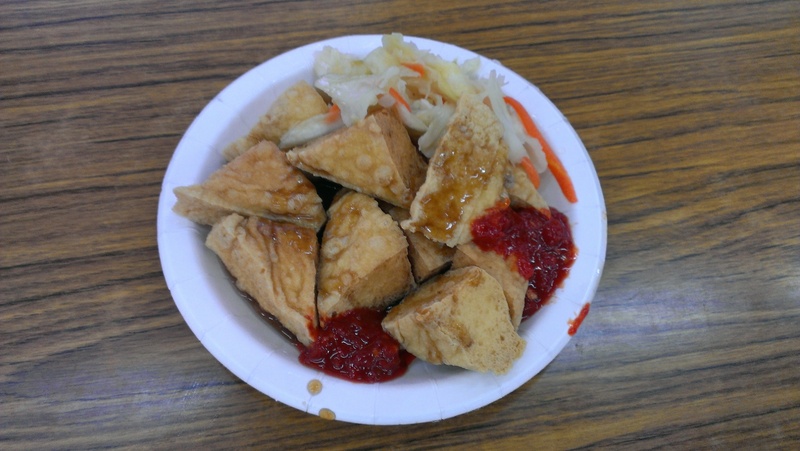 Tummy felt warm in the cold weather. As said, Maokong Gondola is a place for peace, relaxation and quiet. It is a recommended place to visit with friends and couples who enjoys quiet walk and drink in the afternoon… Not for family with kids. Right after our visit, we race home as it was near to evening. 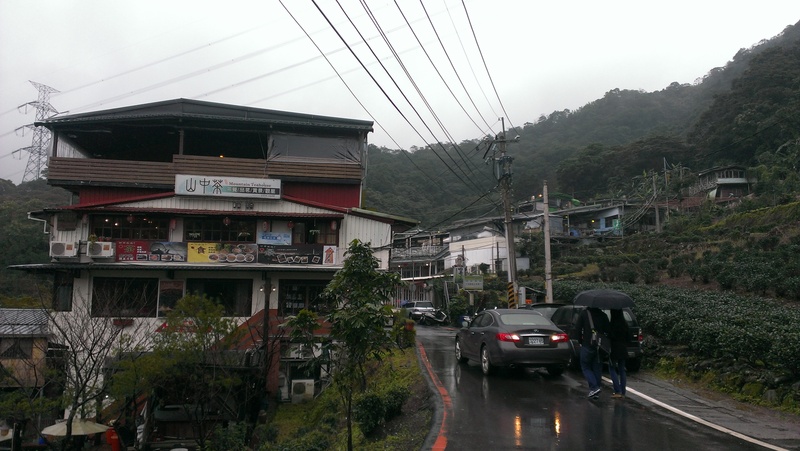 We spent roughly about 4 hours at Maokong Gondola. 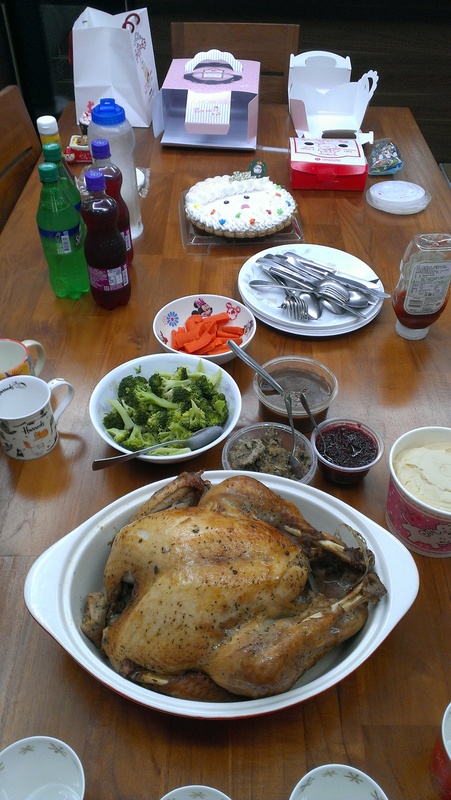 As it was a Christmas Eve day, we decided to buy a cake for my sister and family who is celebrating the Christmas Day. We went back to Taipei Main Station to search for cakes and found this shop tend to have a very long queue. 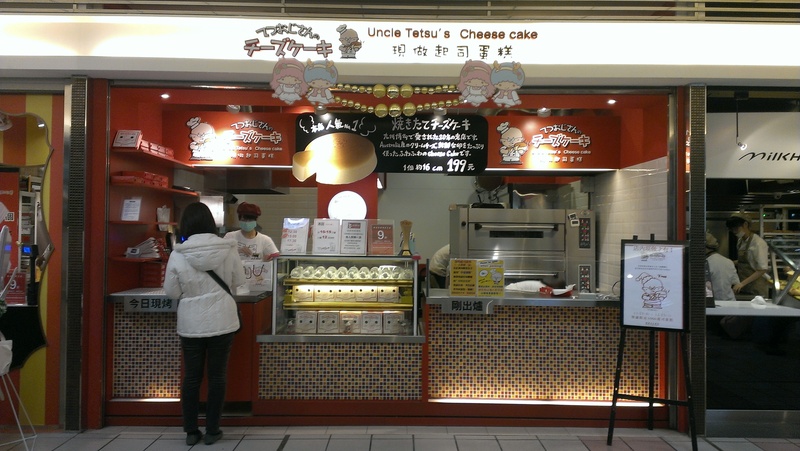 The shop is called Uncle Tetsu’s Cheese Cake where only limit 1 piece of cake of customers (if i’m not mistaken). 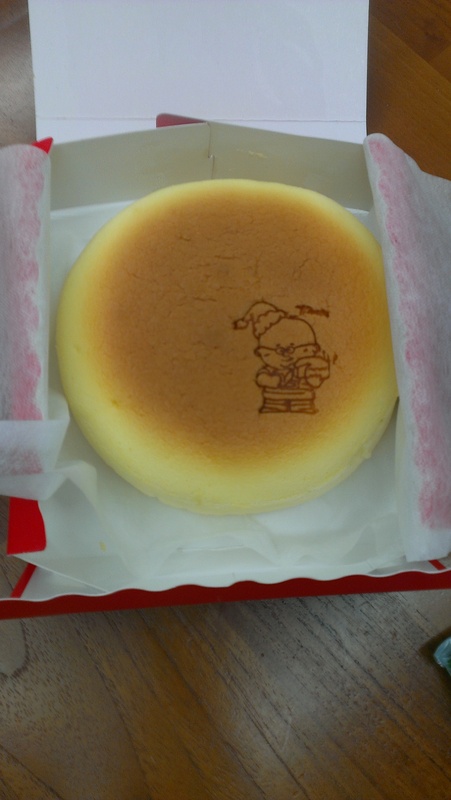 The cake looks ordinary cheese cake to us, but it do have the quality taste. It cost NT$199 per cake. Long queue.. The cheese cake good. Christmas Eve 2013 was definitely special to us. Instead spending Christmas season either in Singapore or Kuala Lumpur. 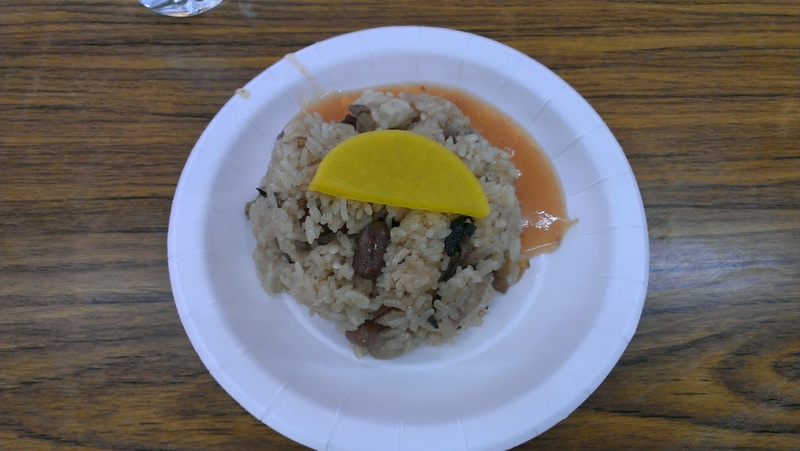 It was definitely a memorable dinner for us. 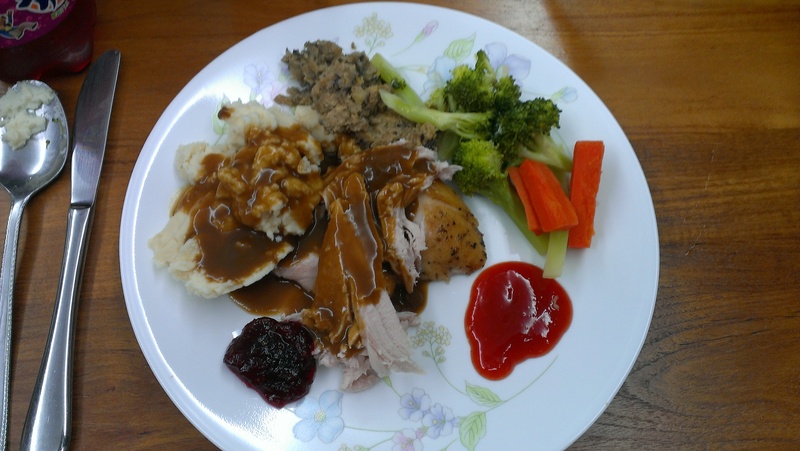 Although it was a simple meal but it was fun particularly spending time with my sister and family. 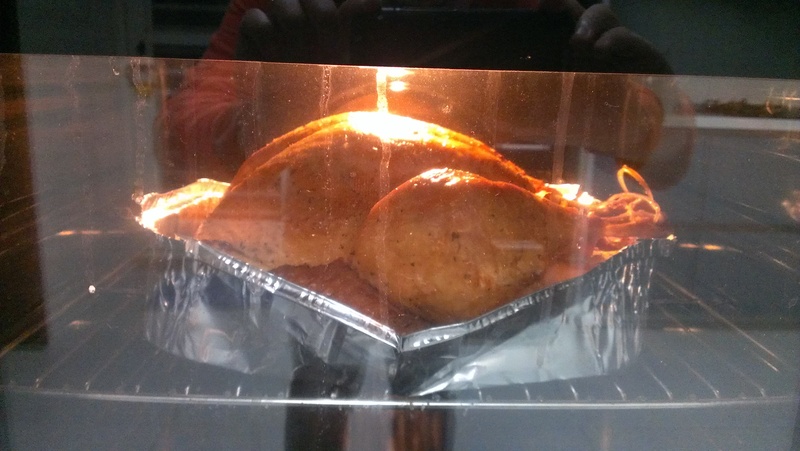 And who else eager to join us the celebration???…. 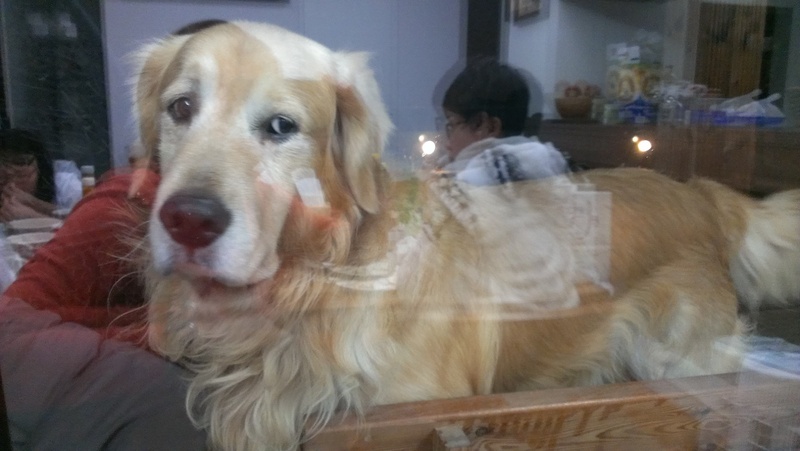 He was watching us…..
Well indeed Odie is an adorable dog but he is a crazy, never keep himself calm and really playful dog. Sorry Odie, you are a ransacker dog,.. you got to stay away from entering the house. Not to worry, Odie has personal heater, so that he is always keep himself warmed during the cold season.